This morning’s earthquake near the Banjak Islands, Sumatra, probably occurred on the interface between the Australian, Indian and Sunda tectonic plates, according to the U.S. Geological Survey. This morning’s magnitude 7.7 earthquake centred near the Banjak Islands (200 km west-north-west of Sibolga, Sumatra, 215 km south-west of Medan, Sumatra) was 31 km deep, according to the latest information from the U.S. Geological Survey. GeoNet’s seismograph network shows the trace of this morning’s Banjak Islands earthquake. The tsunami watch for Indonesia and the Indian Ocean has now been cancelled by the Pacific Tsunami Warning Centre. A local wave was generated by the earthquake, and this resulted in a sea level rise of 14 cm at Telukdalam on Nias, south of the earthquake epicentre. Java and most of Sumatra sit atop the Sunda Plate (see map), which also includes the South China Sea, the Andaman Sea, Malaysia, Borneo and southern parts of Thailand and Vietnam. Today’s earthquake struck an area where the Indian and Australian tectonic plates are moving north-northeast at about 60 to 65 mm per year with respect to the Sunda Plate. The quake is thought to be the result of thrust faulting on or near the plate interfaces. The area is very active and has hosted several large earthquakes in recent years. In March 2005 the immediate region of today’s earthquake hosted a magnitude 8.6 earthquake. It is thought that this morning’s quake occurred within the rupture zone of that event. In 2004 a magnitude 9.1 earthquake resulted from a massive rupture that ended 125 km north of this morning’s event. Magnitude 7.3 earthquakes struck beneath Simeulue, 125 km north in 2002 and 2008. To the south, a magnitude 7.9 quake struck 250 km south in 2007, a magnitude 8.4 struck 375 km south in 2007 and a magnitude 7.5 quake struck 260 km south near Padang in 2009. 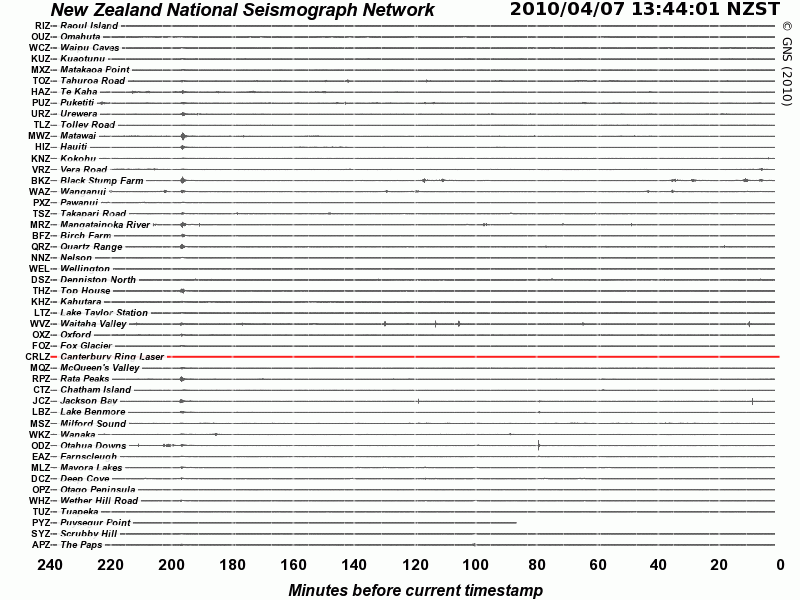 This entry was posted on Wednesday, April 7th, 2010 at 3:14 pm and is filed under Earthquakes - Analysis. You can follow any responses to this entry through the RSS 2.0 feed. You can skip to the end and leave a response. Pinging is currently not allowed.